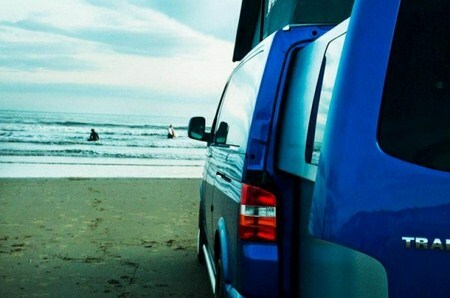 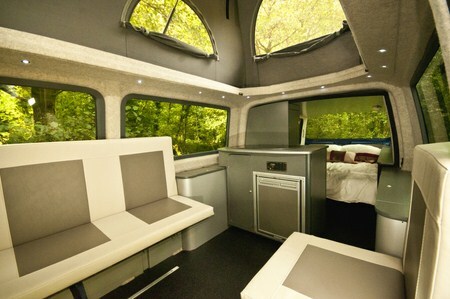 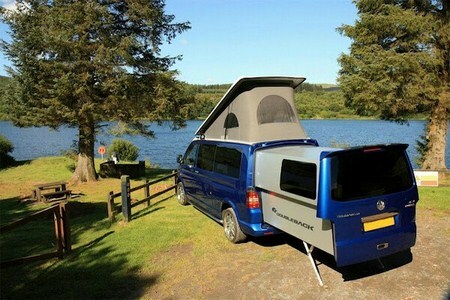 Overland Motor homes Ltd, a company in South Wales takes Volkswagen T5 Transporter and converts it into a regular camper. 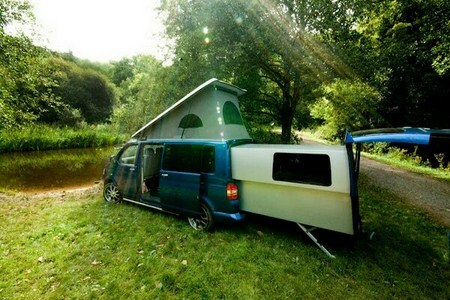 It transforms itself into a full functional house by pushing a single button. 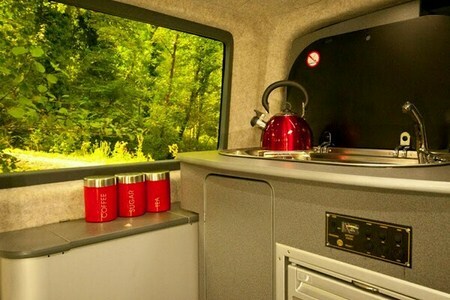 The central cabin serves as a kitchen with a table, refrigerator, cooker and a sink as well. 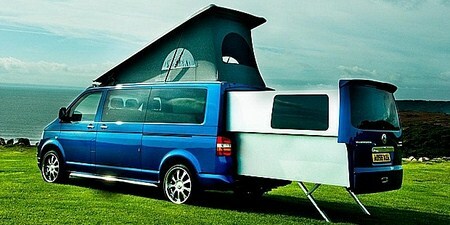 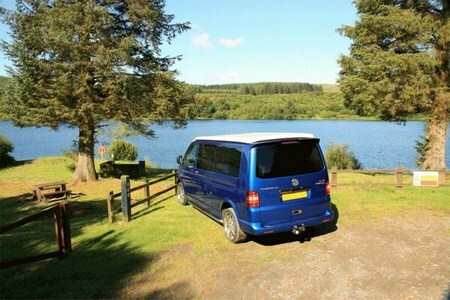 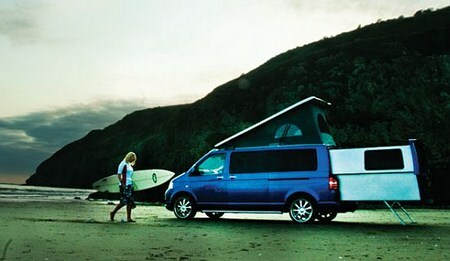 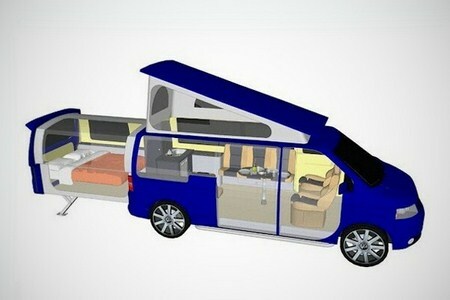 Unlike normal VW campers the DoubleBack can comfortably accommodate 2 or 3 passengers without dismantling the kitchen. 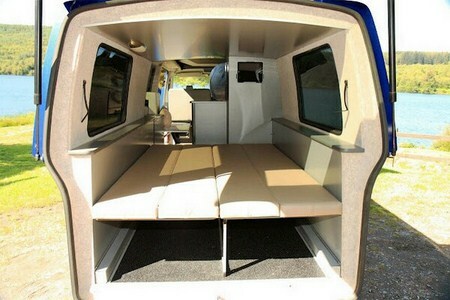 As far as weight is concerned it only adds 150kg to the overall weight of van. 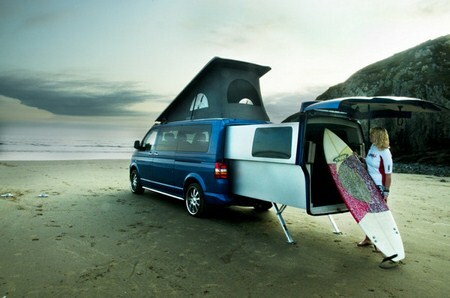 Doubleback modification doubles the space by using only 20% of the Transporters capacity but it leaves no space for bikes or surfboards. 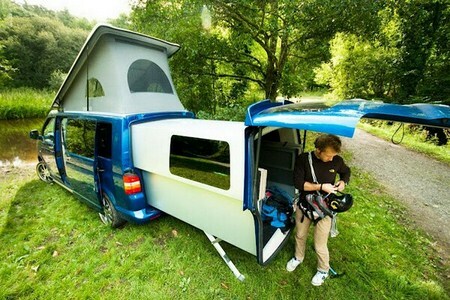 I guess you can fix a rack on it the top to hold your bikes etc... Take a look at some more photos of this creatively modified vehicle.